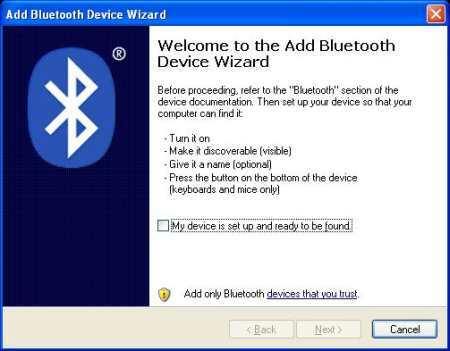 The following document will help you to setup Bluetooth synchronization using ActiveSync 3.7.1 with Microsoft Bluetooth Wireless Transceiver. This article provides an illustrated, step-by-step procedure to get it working. 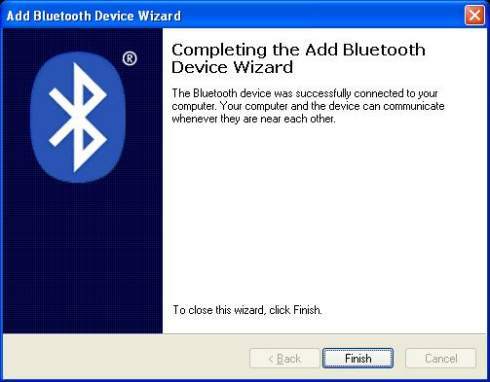 This article can be referred for other Bluetooth software as well but the steps might vary a little to setup the virtual COM port. 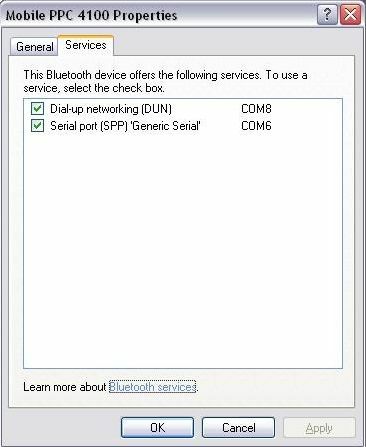 The crucial step while setting up a Bluetooth connection is to ensure that the COM port assigned is not greater than COM 9. 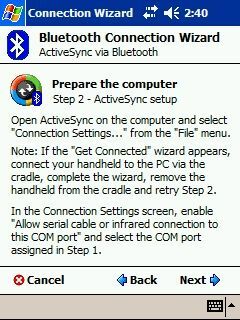 The reason being - ActiveSync does not support higher COM ports. For more information on how you can reassign the COM ports, please refer the article. 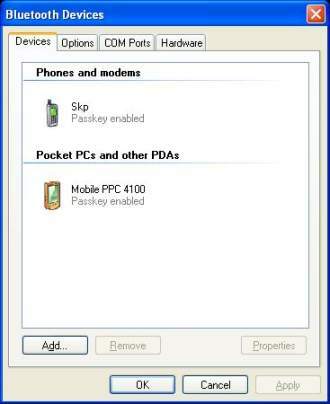 My sincere thanks to Chris De Herrera for allowing me to host my articles on Pocket PC FAQ (formerly CEWindows.NET). 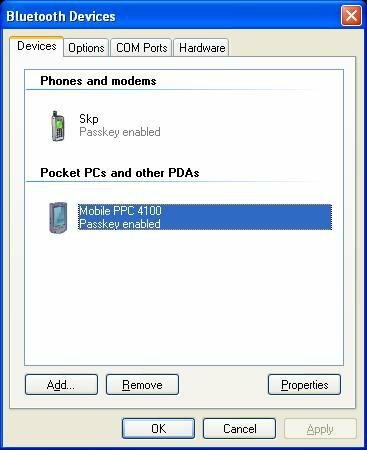 Finally, it is possible to synchronize your Pocket PC with Microsoft's Wireless Transceiver shipped with their Optical Wireless IntelliMouse Explorer and Wireless Optical Desktop for Bluetooth. This was not possible earlier due to lack of support for the serial profile. 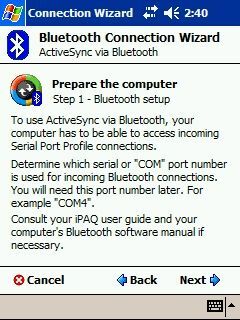 The illustrations below gives a detailed instruction of how I have setup my iPAQ 4155 for Bluetooth synchronization. After installation, you need to restart the computer. 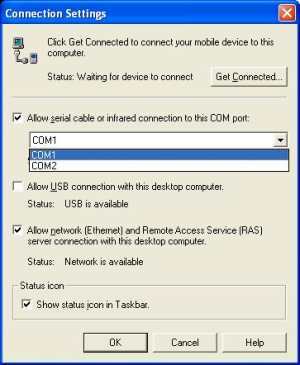 Assuming you have already installed and established a partnership with your Desktop computer, Clicking File -> Connection Settings will show the following as your COM port settings. Or else it is recommended that you connect your Pocket PC either using serial or USB connection and establish a partnership before proceeding to establish a Bluetooth connection. 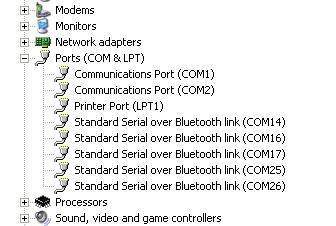 Once it displays all the COM ports, you can proceed to uninstall the blocked ports. The other way is to manually set the port number but this might interfere with the functioning if the COM port is being used by another device. 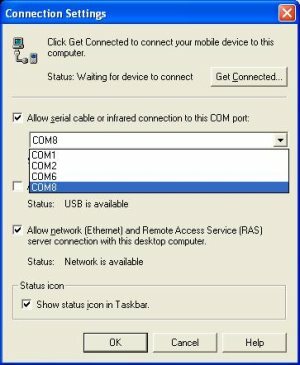 If you are sure the COM port is not being used by the other device, then you can set it up manually as explained in the following screen. The, COM port 26 (Incoming) is going to be assigned COM port 8. 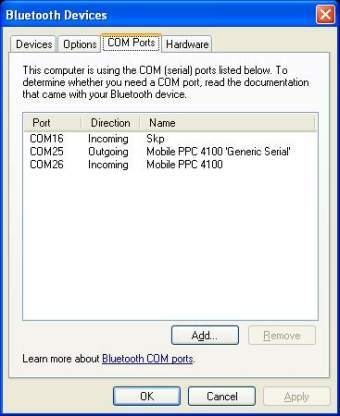 Right-click the Device Manager entry for COM26 and click Properties and select the Port Settings tab. 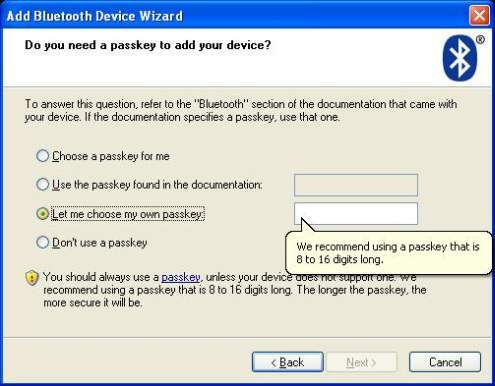 Click Yes and proceed to do the same for the other COM port. In our example (COM25 is to be set as COM 6). After this is done, Click Action -> Scan for Hardware changes on your Device Manager window and you will see the COM ports reflecting the changes you have made. 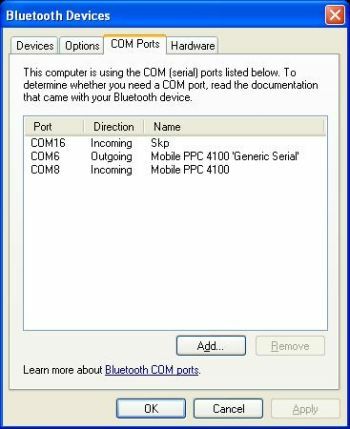 Next go to the COM port listing again in the Bluetooth Devices list as explained earlier and verify that the COM ports are reflecting the changes. 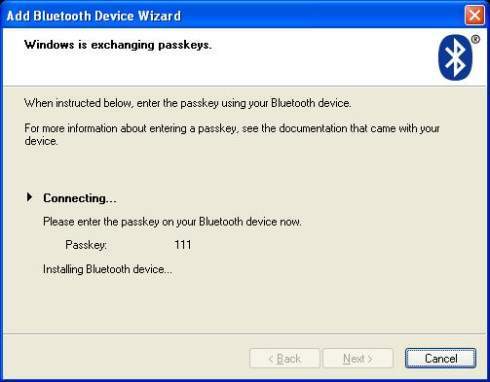 Once this is done, go to your Pocket PC and start the Bluetooth Manager. 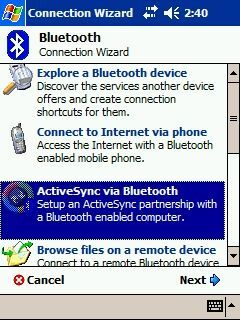 Tap New and select the "ActiveSync via Bluetooth" option. 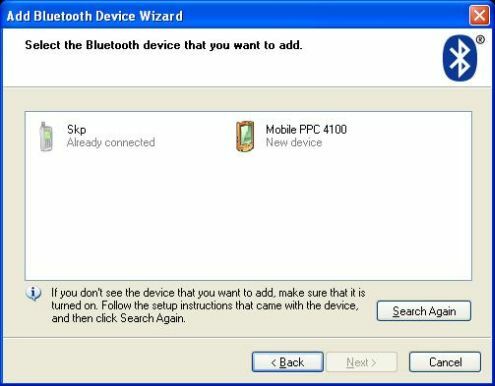 Follow the instructions on the screen and once your computer is listed, select the device and create a short-cut icon for the connection. 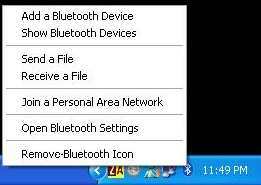 Next time you want to connect using Bluetooth, all you have to do is tap the short-cut icon and choose Connect. 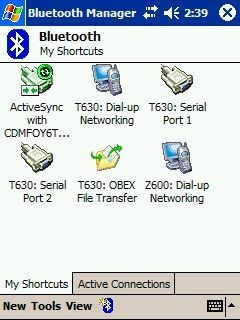 On your computer, click on the Devices tab on the same dialog as shown below and select the Pocket PC and click Properties and then click the Services tab and ensure the Serial port service is checked. 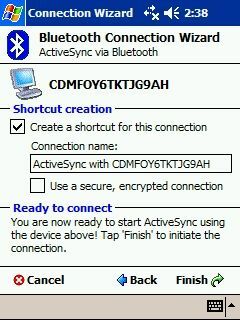 Open ActiveSync on your Desktop and attempt to connect via your Pocket PC short-cut. You should have a successful connection. 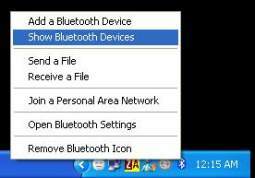 Enjoy synchronizing via Bluetooth with your Microsoft Bluetooth Transceiver !! !